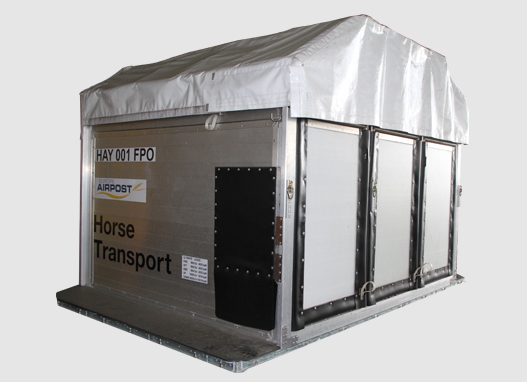 5 HAY containers can be transported by air, 15 horses in total. 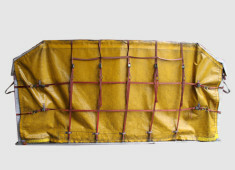 The HAY container is flexible: it can easily be adapted to transport two or three horses. 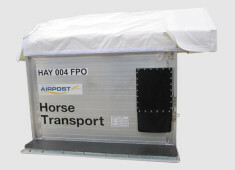 The container has a retractable "cap" (canopy) for the horses' heads. 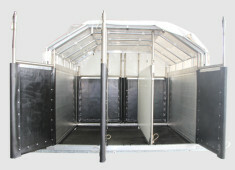 The container has a passage on each side to allow the stableman to move among the stalls. 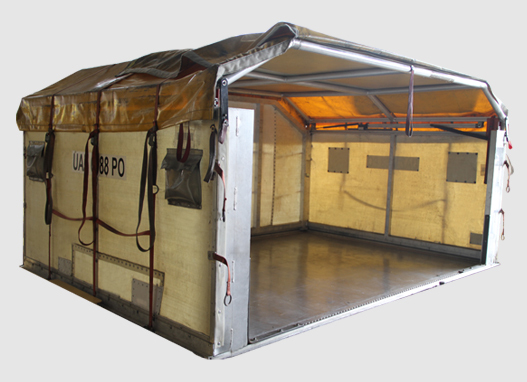 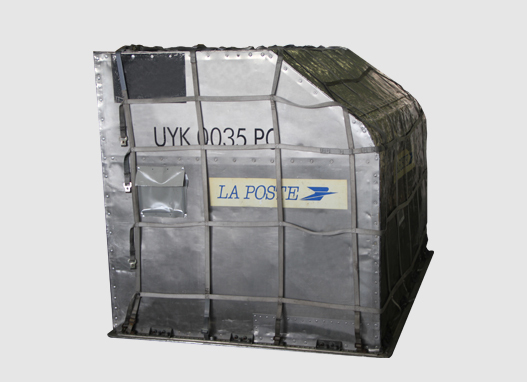 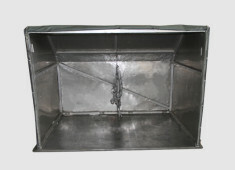 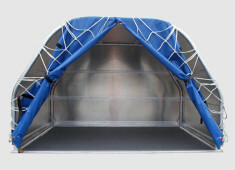 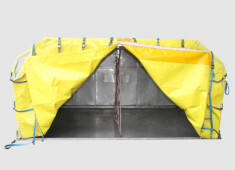 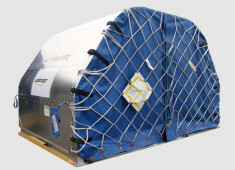 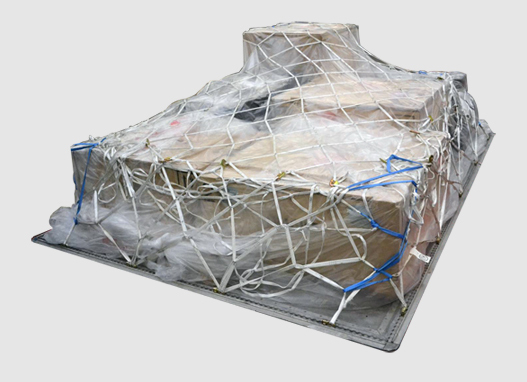 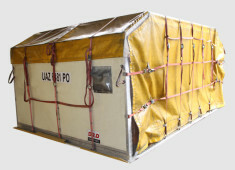 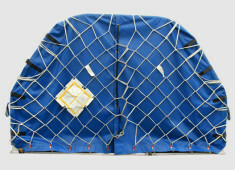 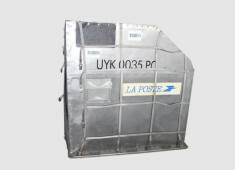 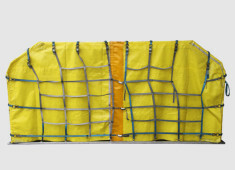 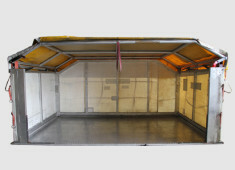 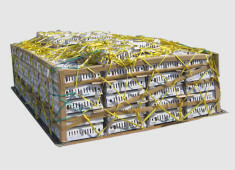 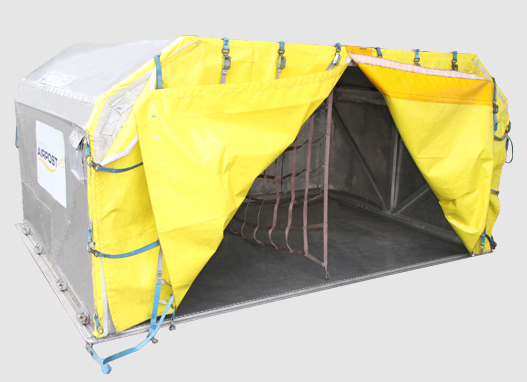 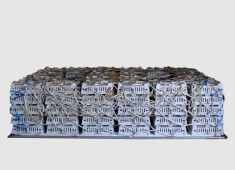 The HAY container is certified by EASA (ETSO-C90c) and FAA (TSO-C90c). 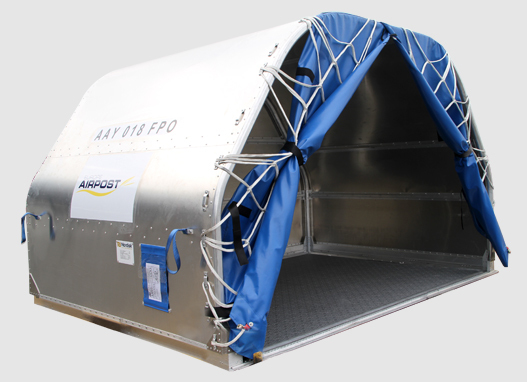 Rampe d'accès If the airport does not have adequate means of loading, ASL AIRLINES FRANCE has a loading ramp that allows horses to the main deck from the ground. 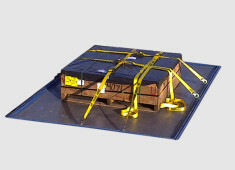 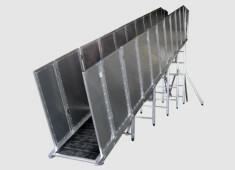 This removable ramp is kept in rear cargo every time we transport horses.